We look for a hero, who can beat the smog! Over 92% of the world’s population inhales unhealthy air and over seven million people worldwide die prematurely every year because of smog. It needs to stop and we look for a hero, who could solve the problem of air pollution! 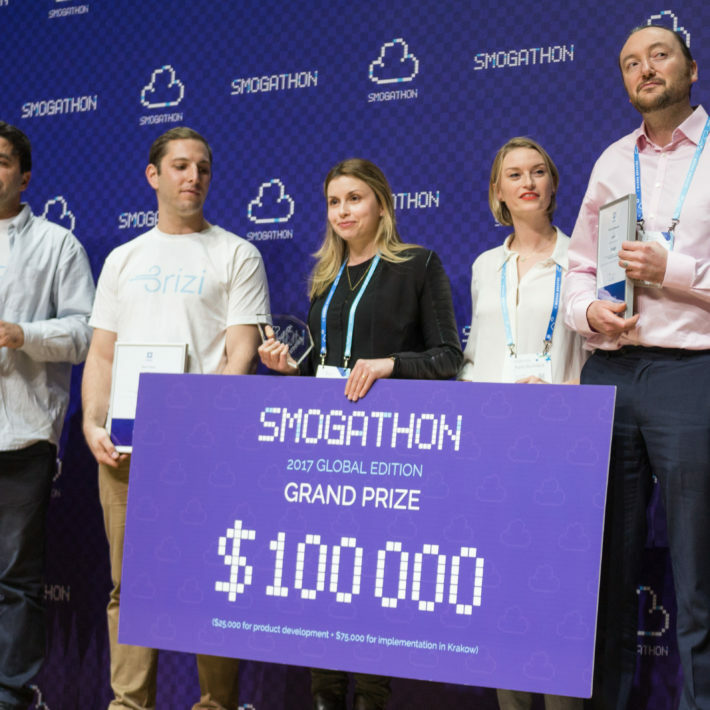 Smogathon is an initiative aiming to fight the smog with innovations and technology. Our idea is to get the best projects from all over the world to compete for $15 000, $10 000, $5000 in cash and the Special Implementation Prize - 30 000 PLN donated by Otrivin by GSK. Are you a hero, who wants to deal with the Smog? Choose semi-final, apply and join the game. 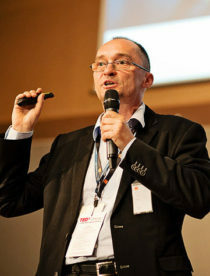 If your solution is really good, we will invite you to join a semi-final. Present your smog-fighting innovation. The best two projects go further in Smogathon! Your solution needs to be proven, you will be questioned by the experts from: technology, business, social & administration, and innovation. Do they like your project? Congratulations, you’re welcome to the next stage! You are one step closer to winning the game. 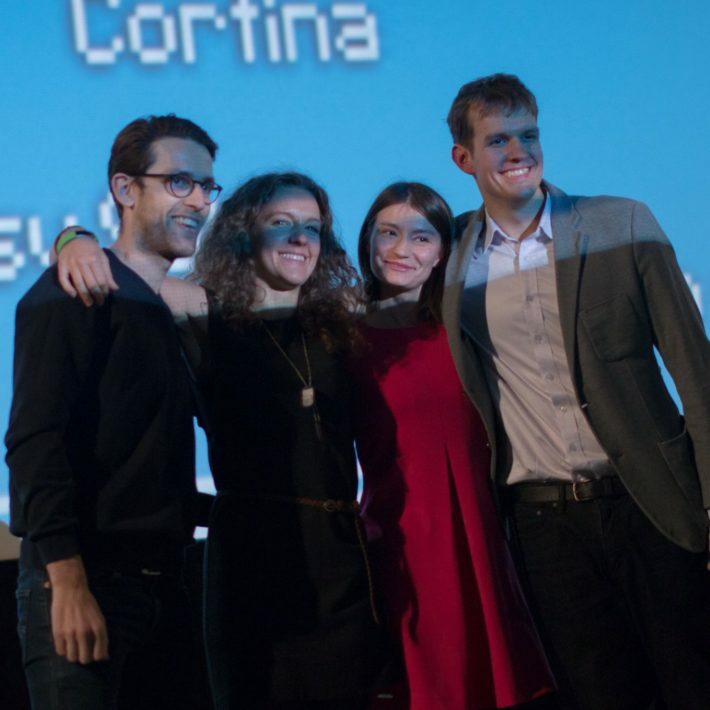 Take part in a pitch contest and compete for $15 000, $10 000, $5000 and implementation prizes. Do you fight air pollution with innovation and technology? We invite you to apply for taking part in one of six semi-finals: São Paulo (Brazil) - 2nd October - 4th October - Berkeley (USA) , 9th October - London (UK), 18th October - Katowice (Poland), 11th October - New Delhi (India) and 15th October - Beijing (China). 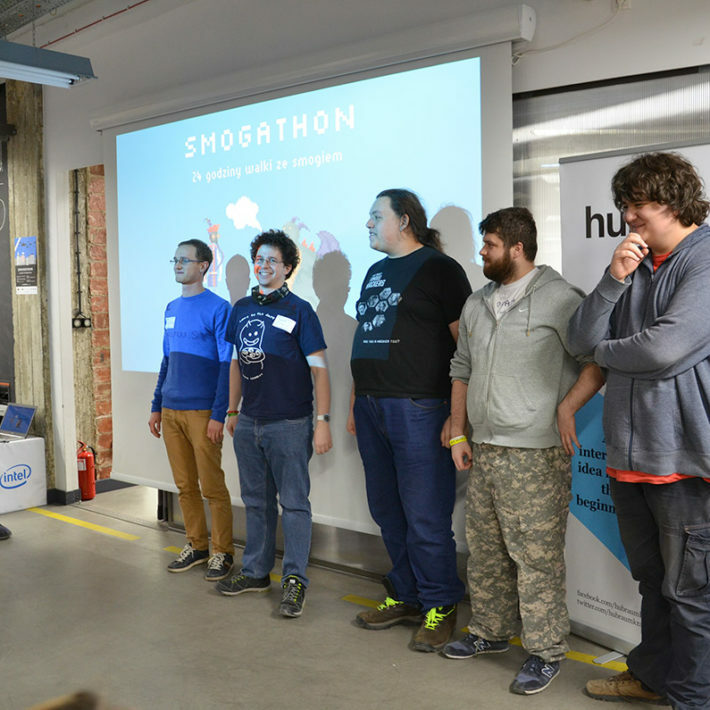 10-12 selected projects will take part in intensive Q&A sessions with Smogathon experts at Krakow Finals. 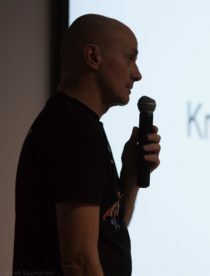 Top six solutions selected over the course of Krakow Finals will pitch their projects in front of an international jury at the Grand Finale in Kino Kijów. Looking for more information? Get our info pack! Invited startups will pitch their innovations in front of at least six experts of technical, scientific, business and VC background. Top two will pass to the Krakow Finals. Startups, teams, scientists, companies, students, designers, architects with a legal entity. More information in Terms & Conditions. Limited tickets for the audience will be available online prior to the event. Every solution needs to be proven, projects questioned by the experts from: technology, business, social & administration, and innovation. Top 6 projects will go to the Grand Finale. Media accreditation will be available online prior to the event. The best air pollution-fighting projects will take part in a pitch contest and compete for $15 000, $10 000, $5000 in cash and the Special Implementation Prize - 30 000 PLN donated by Otrivin by GSK. Limited tickets for the audience will be available online prior to the event. Do you want to take part in Smogathon 2018? Do you have a solution fighting air pollution with innovation and technology? Join the game, we invite you to participate in one of the 6 semi-finals. 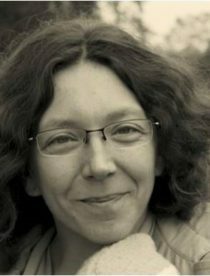 Member of Team of Forests and Nature in Krakow Municipal Greenspace Authority. Project manager of partner in Innovative technological platform to improve management of green areas for better climate adaptation (LIFE URBANGREEN) in Krakow (2018-2021). Graduated from the Faculty of Forestry, with PhD degree at the Department of Pomology and Apiculture at the Faculty of Biotechnology and Horticulture at the University of Agriculture in Krakow. Naturalist and specialist in pollinating insects. Institutes, Univeristy of Gottingen, Mainz, Saarbrucken etc., France: Ecole Normale Superieure (Paris,Lyon), Japan - Univeristy of Tokyo, University of Nagoya, also in China, Russia,Canada,Poland. Current research topics: soft matter, biologistics, biological chemistry, statistical physics, environmental science. Web of Science bibliometric data: publications 250 (plus 3 books, one in Springer Verlag 2012), total citations ca 4100, h-index=34; more than 40 patent applications (incl. USA, the Netherlands, Switzerland, China,Russia,Germany). He was a cofounder of 2 spin-off companies (one has reached the stock market). Total grants as PI ~20 Meuro. Since 2002 United Nations employee in UNDP (more information about UNDP's role and activities under the UN System at www.undp.org). Since 2004, he has been developing programs and recommendations in the United Nations Global Compact as a Representative and General Director of UN Global Compact Network Poland (more about United Nations Global Compact activities and mandate at www.unglobalcompact.org and on the website dedicated to Poland www.globalcompact.org.pl ). United Nations Global Compact coordinates the UN system's cooperation with the private sector within the UN Business Action Hub and through the Global Compact programs are created involving government, local government, business and expert centers. Between 2002 and 2009, UNDP was responsible for international and multilateral cooperation and for the development of programs in Europe and Asia. Under UNDP, he has worked in dozens of countries, including UNDP headquarters in New York, implementing development programs. From 2004 to 2008 member of UNDP Management team in Poland. From 2009 to 2014 Director of the United Nations Development Program (UNDP) Office in Poland. 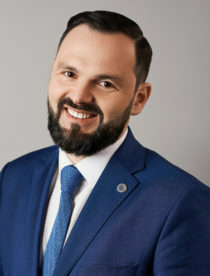 From 2009 to 2012 he was responsible for the transfer of knowledge in the area of ​​free economic zones, economic law and financial supervision systems to the Middle East, focusing on cooperation between Poland and Iraq under the UNDP PSDPI Program, in cooperation with UNIDO, the ILO and the World Bank. In 2012, he and his team received the Innovation in Action Award from UNDP for the most effective offices in implementing innovative programs. Under the function of the Director of the Office, UNDP Poland was responsible for coordination meetings of the UN System in Poland. 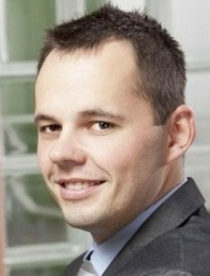 Currently he is the Representative and General Director of Global Compact in Poland (UN Global Compact Network Poland). 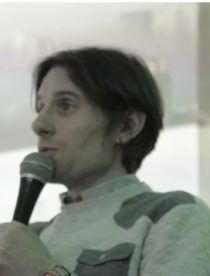 He was a lecturer at the Central European University in Budapest, Columbia University in New York, Lviv University, Koźminski University (Akademia Leona Koźmińskiego), Ignacy Paderewski Institute of Diplomacy at the Ministry of Foreign Affairs, Warsaw School of Economics as well as at the University of Warsaw. UN and EU policy expert, in particular in the field of business and administration cooperation as well as mobilization of the private sector to implement the UN development goals and standards. Specialist in development, multilateral and knowledge transfer. As a United Nations employee since 2002, he has been involved in economic diplomacy, social innovation, technological innovation, social economy, and development research and measurement, in particular through the use of the Human Development Index (HDI) and UN statistics. Lawyer specializing in international law. A graduate of the prestigious UNDP Development Academy. Together with the team that he led, honored by a prestigious medal of the Parliament of the Republic of Poland for the efforts made in favor of people with disabilities, and development of the Polish Social Economy model. 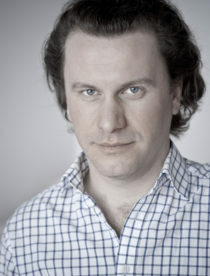 Between 2009 and 2012 a member of the Strategic Advisory Board of the Prime Minister in Poland. On behalf of the Team of Advisors to the Prime Minister, inter alia, a co-author of the Long-term National Development Strategy until 2030 and the coordinator of the Human Capital Development Strategy until 2020. Since 2014, a member of the Expert Council of the National Center for Research and Development for the Economic and Social Innovation matters. Since 2015 he has been a member of the Innovation Team with the Deputy Prime Minister and the Minister for Development. He is a media commentator on socio-economic and international affairs. Education : Medical Doctor, MBA. Management of three teams responsible for education activities dedicated for : doctors (specialists, GPs, dentists) and pharmacists. Medical role for other BU (A-Derma, Ducray, PFD, Rene Furterer, Klorane. Elancyl). Responsibility for P&L, sales and marketing strategy Rx and OTC products. Coordination sales and marketing strategy for pharmacy, cosmetics and mass market channel (products: ELMEX, JORDAN, BIODENT, FRESH-BREATH). Full responsibility for new concept of sales strategy, tactics, KPIs, ways of working for Sales Force in Poland (Rx&OTC) – 50 people. 04.1997 – 04.2006 GlaxoSmitKline Pharmaceuticals. 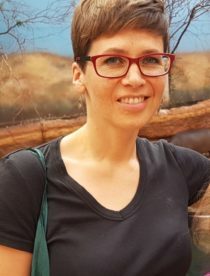 Director of Innovation Techonology and Development at "Śródmieście"
She works in environmental protection area from many years, additional from a couple of years in air quality in Silesian Marshal Office. she is responsible for preparing and realization Air Quality Program for Silesia region. She takes part in I CAN STOP SMOG! campaign. Thru Katowice she is moving by bike. A graduate of the Częstochowa University of Technology - Energy Engineering. 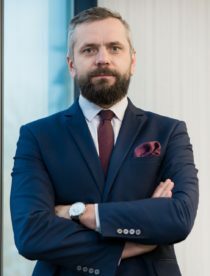 He completed MBA studies on International Business Management at the College of Banking in Poznań and post-graduate studies at the University of Economics in Katowice in the field of Sales Management and Project Management. His entire professional career is related to power production sector, currently working with suppiers of power production equipment and environmental protection equipment for the power plants and combined heat and power planta. 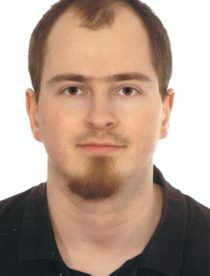 For last 4 years in his free time, a social activist of the Zagłębie Smog Aletr (NGO). Organizer and participant in many anti-smog actions in the Zagłębie Dąbrowskie region. Saakshi Dhanekar is working as an INSPIRE Faculty at Indian Institute of Technology (IIT), Delhi. She works in the area of fabrication to prototype development of gas- and bio-sensors. Few of her recent explorations have been alcohol breath analyser and diabetic ketoacidosis detection using breath analysis. Her other research areas interests include silicon technology, MEMS, nano-materials, thin film transistors etc. Currently, she has a project funded by Government of India through which she is trying to capture E. coli bacteria using her bio-chips for safe drinking water. 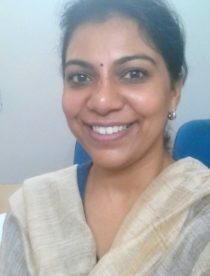 She does lot of innovation with materials and micro-fabrication processes to enhance the sensing parameters and simplifying fabrication processes respectively. She has developed technologies for fabricating sensors at a larger scale for mass production. She has published several papers and filed patents. She works on real problems and thus the solutions provided by her research benefits the society directly. 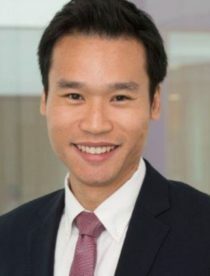 Dr Henry Chan is a project finance and evaluation expert, with 15 years of experience across the entire urban/infrastructure development lifecycle, from planning to implementation. His past projects cover multiple sectors and regions, including urban regeneration in China, underground metro in Brazil, and smart waste management in London. Currently, he is the Impact Assessment Team lead at Future Cities Catapult, a government-sponsored centre to advance the development of urban innovations. The team applies UK and international best practices to assess the economic, environmental, and social impacts of innovative solutions involving unproven technologies. His passion is to integrate technology into the built environment to improve everyday life and create a more sustainable future. 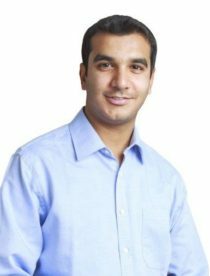 Arnab Chatterjee is Manager, New Business Development for Hydrogen and Battery Electric, working within Shell New Energies. Originally from London, Arnab has been with Shell for nearly 5 years. His work is at the intersection of Markets, Technology and Policy, with a focus on Mobility futures. Arnab has looked at improving mobility efficiency at a systems level, developing concepts in city freight optimisation from desk through to trial and execution in Manila and has recently kicked off work on Aviation Futures. 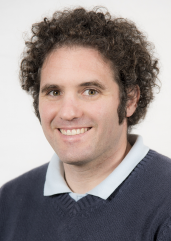 He has also developed autonomous guidance systems, ultimately with uses within Well drilling, in the course of which he initiated the Shell AI Residency here at Berkeley. He currently is leading work around decarbonising the heavy duty vehicle sector as well as light duty EV infrastructure development. He has previously led the efforts for Hydrogen Electric in UK and Germany. Arnab is a member of the Leadership Council at Cyclotron Road, the leading Silicon Valley clean technology incubator, an advisor to the MAN futures accelerator and the Sustainable Ocean Alliance. Prior to joining Shell, Arnab worked at McKinsey & Co and at Sofinnova Partners where he deployed 70M USD into industrial biotechnology/renewable companies at series A/B level. He went on to work at a portfolio company, BioAmber where he headed the product development team and was part of the team that took it to IPO. Arnab has multiple papers and patents in fields of chemistry, chemical engineering, trajectory control and product development, and has spoken widely on the transition to a lower carbon future. He has a DPhil in Semiconductor Chemistry from Oxford University and an MBA from INSEAD. Severine Lalande is an Investment Manager at Total Energy Ventures (TEV), the venture arm of the energy group Total. TEV identifies in startups whose expertise can help create responsible energy options, supports their growth and fosters collaborations with Total. TEV is active in areas such as renewable energies, energy storage, smart grids, energy efficiency, energy access and mobility. Severine has been working at Total for 15 years with several assignments in Europe and Africa, before coming to the Bay Area. She holds a M.Sc. in Reservoir Geoscience & Engineering from Texas A&M & IFP and graduated from Ecole des Mines de Paris, in France. Terry Cowl is currently Consul and Senior Trade Commissioner at the Consulate General of Canada – San Francisco/Silicon Valley. Terry’s teams in SF and Palo Alto support Canadian entrepreneurs seeking technology and investment partnerships with firms in the Bay Area as well as supporting foreign direct investment from Northern California and Hawaii into Canada. Terry was previously the Director of the Economic Analysis and Coordination Division at Global Affairs Canada where his team was responsible for Canada’s economic sanctions, development finance (including the creation of the new Development Finance Institution or FinDev Canada), and providing strategic advice on global economic stability and energy security. 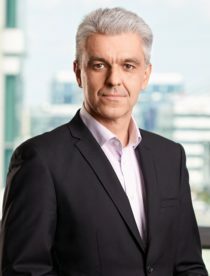 His previous assignments include Deputy Director at the Assignments and Pool Management Division, Deputy Director of the North America Commercial Relations Section and Economic Advisor for the North America Bureau. From 2007-2010, Terry served as Canada's ASEAN Regional Economic Advisor, based out of the High Commission of Canada in Singapore. Posted during the Global Financial Crisis, he was responsible for providing up-to-date analysis on economic developments in Southeast Asia. Before joining Global Affairs Canada, he held positions in other portfolios within the federal government - such as the Privy Council Office, Natural Resources Canada and Canadian Heritage. 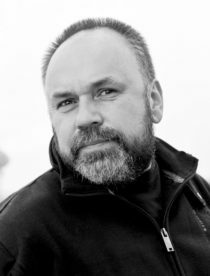 Originally from Nova Scotia, Terry holds a Masters degree in International Affairs (Carleton), a Masters in Political Science (Waterloo) and a Bachelors degree in Political Science (Acadia). 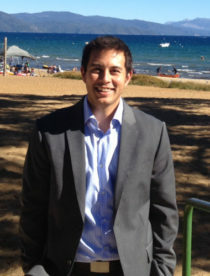 Evan Cohen is Canada’s Energy and Cleantech Trade Commissioner for Northern California and Hawaii. 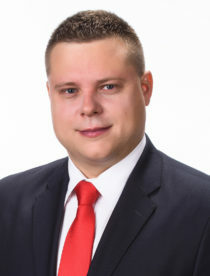 His role is to connect Canadian cleantech companies with potential investors, partners, and business development opportunities in his territory. He is also the co-director of the Canadian Technology Accelerator’s cleantech cohort, and founding director of its agtech cohort. Prior to joining Global Affairs Canada, Evan served as a member of the Obama Administration as a Special Advisor at the Department of Energy’s office of Energy Efficiency and Renewable Energy, and in the White House Office of Legislative Affairs. A California native, he is also currently a Fellow at the Clean Energy Leadership Institute. 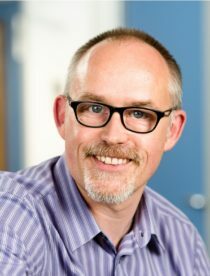 After suffering from asthma as a child, Andrew studied Environmental Science and Information technology at Stirling University with a focus on air pollution. Andrew joined the monitoring team at King’s in 2005, and has combined his twin passions of air quality and digital technology to pioneer many of the group’s air quality apps and communications platforms such as the London Air, City Air, Lewisham Air apps, helping to bring the public and those responsible for air quality management closer together. Andrew also speaks regularly at community events and science festivals and appeared across national tv, radio and press. Brenna Teigler is committed to directing and increasing the efficiency of our program operations. 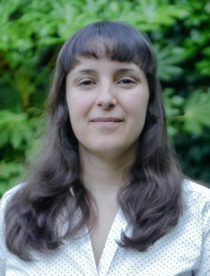 Prior to Cyclotron Road, she was an American Association for the Advancement of Science (AAAS) Science and Technology Policy Fellow in the Office of Energy Efficiency and Renewable Energy at the U.S. Department of Energy (DOE). 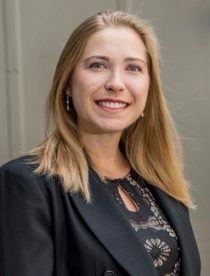 During her two-year fellowship, she was a project manager for the Clean Energy Manufacturing Initiative and Technology-to-Market Program where she spearheaded an effort called Build4Scale to develop manufacturing training for hardware innovators. Teigler has a PhD in biophysics from Harvard and a BS in physics from Rutgers, the State University of New Jersey. Teigler supports Cyclotron Road as an employee of Berkeley Lab. Scientist and in(ter)disciplinary researcher. 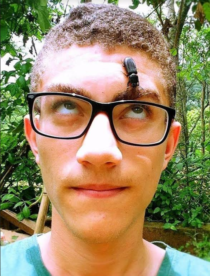 Studying at the University of Sao Paulo, he works with Molecular Genetics, Synthetic Biology and explores the intersection between art, philosophy and science. He coordinated the I Biohack Academy by Waag Society in Brazil and has since been involved with Open Hardware and DIY Biology. He has delivered lectures and workshops in Brazil (iMasters/BSidesSP/SPMakerWeek), Chile (GOSH) and USA (iGEM/DigifabCon/MIT/Intel ISEF) and his work in Bioart has been recognized in China, Germany and Greece (TTT - Corfu). Recipient of the Jovens Fora de Série Award (2014), has been awarded prizes in scientific conferences and competitions (iGEM/FEBRACE-USP). A environmental crusader, Nita Soans is the India CEO for Kaiterra, with a vision to contribute towards creating awareness about the drastic downfall of the air quality in the country. Nita oversees the overall operations of the company, including sales, partnerships, legal, finance and research. 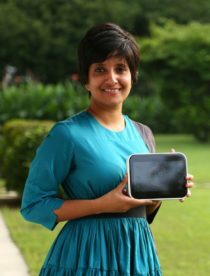 Nita and her team’s focus in India will be to build the brand in India and widen the customer base while also setting up and monitoring outdoor air quality monitor across Delhi NCR to aid more detailed research aimed towards solving North India’s air pollution problem. Originally trained as an architect, Nita developed a keen sense of design and strategy for the end user from her time working as an ethnographer during her time with CKS where she led several innovation programs in areas of telecommunications, healthcare and development for such clients as Nokia, Vodafone, Samsung, the Gates Foundation and others. Nita continues to advise CKS (now Vihara) on their Bihar Innovation Lab and Read Alliance Programs. In 2005 and 2007, she has managed educational outreach programs for the Doors of Perception Conference. 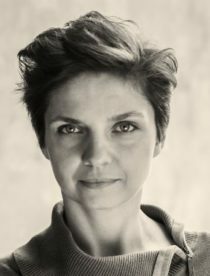 In 2008 she helped curate and run the 48℃ conference in New Delhi for the Khoj Artists Collective and Goethe Institut that was focused on raising awareness about the exigencies of climate change. In 2012 Nita co-founded the Adianta School for Leadership and Innovation that aimed to bridge the skills gap that exists between formal education and what one requires in the workforce and what one needs to know in order to have a startup and create change. The Adianta School offered programs that teach skills of innovation, leadership and entrepreneurship but has also been a network of innovators and entrepreneurs, a hub for those looking to make a difference to come together and work together to address these issues and bring about a change. In 2016 Nita curated and coached speakers for the TEDx Gurugram event while also consulting for start-ups, helping them with management accounts, processes standardization and training as they geared up for scale. 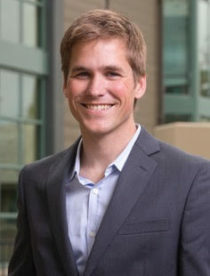 Reed Walker is an Associate Professor of Business and Public Policy and Economics at UC Berkeley. His research explores the social costs of environmental externalities such as air pollution and how regulations to limit these externalities contribute to gains and/or losses to the economy. He is the faculty co-director of UC Berkeley’s Opportunity Lab - Climate and Environment Initiative. 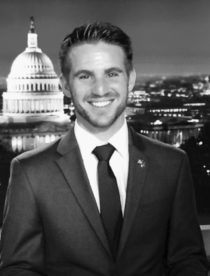 He is also a research associate at the Energy Institute at Berkeley and a faculty research fellow at the National Bureau of Economic Research. He received his PhD in economics from Columbia University. 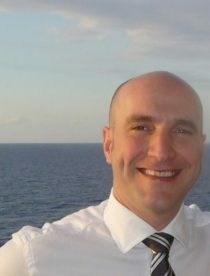 Paul Williams is Innovation Manager at Johnson Matthey Plc, a global leader in sustainable technologies committed to a cleaner, healthier planet. Paul has had technical, commercial, business development and innovation roles with JM as well as running a successful start-up company. 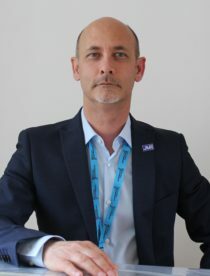 He currently manages one of JM’s innovation portfolios and works closely with external companies and organisations to explore collaborative opportunities. Paul is instrumental in the establishment of the #CleanAirTech community, an ecosystem established this summer in the UK to stimulate collaboration between academia, local authorities, NGOs, start-ups, regulatory bodies and technology providers to foster innovation in the air purification space. The objective is to develop and commercialise innovative air purification technologies which can make a meaningful improvement to indoor and outdoor air quality. Olivier Le Roux is Business Development Manager at Johnson Matthey Plc, a global leader in sustainable technologies committed to a cleaner, healthier planet.With over 20 years of international experience in the Automotive and Clean Air industries, Olivier manages the innovation portfolio and strategic partnerships in the area of clean air and air purification. His current focus is on enabling the development and adoption of innovative air purification technologies which help mitigate the problem of poor indoor and outdoor air quality. Olivier is an active player behind the creation and management of the #CleanAirTech community, an ecosystem established this summer in the UK to stimulate collaboration between academia, local authorities, NGOs, start-ups, regulatory bodies, data providers (and more) and foster innovation in the air purification space. Dr. Walter Ham is the manager of the Advanced Monitoring Techniques Section at the California Air Resources Board (CARB) where his research focuses on air pollution's impacts on climate change and human health. Much of his work involves developing and utilizing novel measurement tools such as mobile measurement platforms, roadside screening devices, and air quality sensors to understand source-receptor relationships in support of regulatory programs. His programs at CARB utilize non-traditional monitoring technology and methods to conduct community air monitoring around sources such as industrial facilities and traffic corridors. His work also includes updating and expanding CARB's greenhouse gas monitoring network and initiating short-lived climate pollutant monitoring. He obtained his BS from the University of Georgia and PhD from the University of California, Davis. Madhav Singhania is an Electrical and Computer Engineer from Carnegie Mellon University, USA. He joined J.K. Cement Ltd. in early 2010 and is currently heading the new projects division and is also responsible for technology integration and the digital transformation of the Company. He has spearheaded new capacity expansion projects and is instrumental in setting up of the split grinding unit at Jharli, Haryana and played a key role in the brownfield expansion at Mangrol, Rajasthan. He has also been closely involved in the setting up of the Company’s maiden overseas plant at Fujairah, UAE. In addition, he is also the Chair of Young Indians, Delhi (Youth Wing of Confederation of Indian Industry), which is focused on nation building, youth leadership and thought leadership. He is currently serving on the Board of Governors for National Council for Cement and Building Materials (NCCBM). Vickram Singh is the Managing Partner - Massive Fund and founder - GoMassive Accelerator which invests in the area of Agriculture, Mobility, Clean energy, Waste (plastics / water / sanitation) and sustainable built environment. Shailesh has over 20 years of experience in Entrepreneurship / Venture investing with SeedFund (a $54 million VC fund based in India), GVFL, UTI and has been an angel investor as well. Shailesh had set up an NGO in the area of environment protection “SAVEN” at the age of 18 and have written extensively on Agriculture, Farmer income, Economics, Venture capital, and Entrepreneurship. 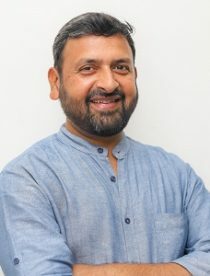 His blog fringenotes.in has been regularly published in leading newspapers of India including Economic Times, Times of India, YourStory, Inc42, Huffington Post India, Swarajya Magazine among others. Shailesh is a regular speaker at various Industry forums (UN regional Climate summit- Bangkok, UNEP India, Assocham, IVC events) / leading Institutes (IIT Delhi, IIM Lucknow, IIT Kharagpur among others). Shailesh has done his MBA from IIM Lucknow and B.Tech from GB Pant University. 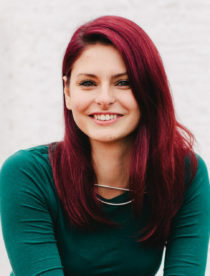 Mirela Yordanova, Events Lead at Campus London, Google's space for startups. Mirela has been deeply invested in helping entrepreneurs connect, learn and grow and has been involved in FinTech and BigData prior to joining the Campus team. She is motivated by creating spaces where knowledge and ideas intersect and catalyzes this by producing tech-led events at Campus London. Indoor Air Quality consulting and remediation specialists in India. 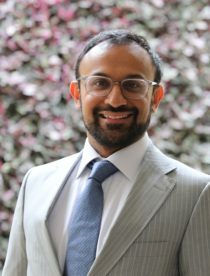 Barun serves on the Indoor Air Quality assessment working group of USGBC He is a founding member of Indoor Air Quality Association, USA , India Chapter. He is a member of ISHRAE and is a founding member of the IEQ Committee of ISHRAE that has developed the first international standard for IEQ (Indoor Environmental Quality) – published in 2016. He is a Climate Reality leader trained by Vice President Al Gore. He has taken up a position of visiting faculty at the School of Planning & Architecture, New Delhi where he teaches a course of Human Wellness in the Built Environment. Barun, an avid golfer relocated from the US to New Delhi, India – the world’s most polluted city in 2010. GSK monitors email communications sent to and from GSK in order to protect GSK, our employees, customers, suppliers and business partners, from cyber threats and loss of GSK Information. GSK monitoring is conducted with appropriate confidentiality controls and in accordance with local laws and after appropriate consultation. We are a science-led global healthcare company with a special purpose: to help people do more, feel better, live longer. Our goal is to be one of the world’s most innovative, best performing and trusted healthcare companies. Our strategy is to bring differentiated, high-quality and needed healthcare products to as many people as possible, with our three global businesses, scientific and technical know-how and talented people. Our values and expectations are at the heart of everything we do and form an important part of our culture. Our values are Patient focus, Transparency, Respect, Integrity. Our expectations are Courage, Accountability, Development, Teamwork. ING Bank Śląski is one of the largest banks in Poland, whose offer includes products and services for individual clients, as well as small and large business entities. ING empowers its clients to make appropriate financial decisions by providing tools to make banking clear and simple. Thanks to a large network of branches, cash management solutions and on-line access to accounts, customers can access the bank’s products and services 24/7 - anytime, anywhere. Małopolska to silny ośrodek gospodarczy i doskonałe miejsce dla rozwoju biznesu. Potwierdza to między innymi przyznany Małopolsce przez Komitet Regionów – jedynemu jak dotąd polskiemu województwu – tytuł Europejskiego Regionu Przedsiębiorczości. Wg danych Eurostat Małopolska jest jednym z 28 najszybciej rozwijających się regionów Unii Europejskiej, a w rankingu amerykańskiego think tanku Milken Institute znalazła się na 20. miejscu wśród europejskich regionów, których gospodarka rozwijała się w 2017 r. najszybciej. Na przestrzeni ostatnich lat PKB w Małopolsce wzrósł o ponad 30% (stanowi 8% krajowego PKB), stale rośnie liczba firm, a także miejsce Małopolski w międzynarodowych rankingach atrakcyjności inwestycyjnej. W województwie działa ponad 380 tys. podmiotów gospodarczych. Tylko w 2017 r. w Małopolsce zarejestrowano ponad 34 tys. nowych przedsiębiorstw. Firmy z Małopolski są także w gronie najbardziej innowacyjnych w Polsce. Pod względem środków ponoszonych przez przedsiębiorstwa na działalność B+R (ok. 2,5 mld zł) region lokuje się na 2. miejscu w kraju. Województwo Małopolskie podejmuje również szereg działań mających na celu rozwiązanie problemu związanego z zanieczyszczeniem środowiska. W celu jego ograniczenia Sejmik Województwa Małopolskiego przyjął 1 lipca 2017 r. tzw. uchwały antysmogowe dla Małopolski oraz osobną dla Krakowa, wprowadzając zakaz palenia w piecach paliwem złej jakości. Małopolska stała się pierwszym regionem w Polsce, który wprowadził takie uregulowania. Od 2015 r. Województwo, wspólnie z 62 partnerami, wdraża też projekt zintegrowany LIFE „Wdrażanie Programu ochrony powietrza dla województwa małopolskiego – Małopolska w zdrowej atmosferze”, którego celem jest przyspieszenie wdrażania działań służących poprawie jakości powietrza, m.in. poprzez działalność eko-doradców wspierających mieszkańców w procesie wymiany starych pieców i kotłów nie spełniających norm „Programu ochrony powietrza”. As a world leader in medical technology, with over 125 years of experience in delivering significant innovations, Philips is committed to create complex solutions to improve air quality and to educate and encourage people to control air condition. Philips has developed air purifiers that effectively reduce many harmful pollutants and allergens from the air, and help control its quality. Philips air purifiers allow you to breathe cleaner and healthier indoor air. We are the Delhi Chapter of CII Young Indians (Yi). Our work is divided into youth leadership, nation building and thought leadership through projects like MASOOM, Gift an Organ, Rural Initiatives that promote a proactive role in India's development process. Interview with the winners of 2018 Smogathon competition! Clean air in preschools in Silesia! Otrivin backs up the fight against smog in Żywiec. All rights reserved to Smogathon 2018 - Designed and developed by Fuzz Studio & Sajtlab.